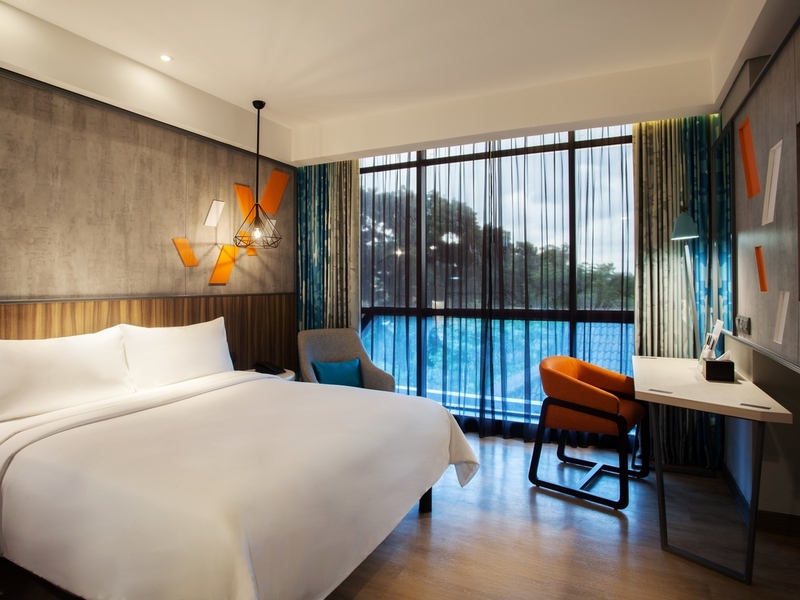 The modern ibis Styles Medan Pattimura is located at the heart of the city, adjacent to the business district and city administrative offices. It offers an all inclusive room package, which includes breakfast and Internet access. Facilities include a rest aurant, bar, Kid's corner, gym and meeting rooms. Guests can easily access many places of interest in the city: Rahmat International Wildlife Museum, Sri Mariamman Temple, Medan Wisata, etc. Our stylish rooms feature wireless Internet, LED television, connectivity plug, bathroom with shower, mini bar and tea and coffee making facilities. Our All Day Dining restaurant serves buffet breakfast, à la carte options, and supper. Room service is after closing hours. The open-air bar is adjacent to the swimming pool and surrounded by the gym and Kid's corner.